NO WORK NEEDED ! RECENT UPDATED EAST ALTON HOME. 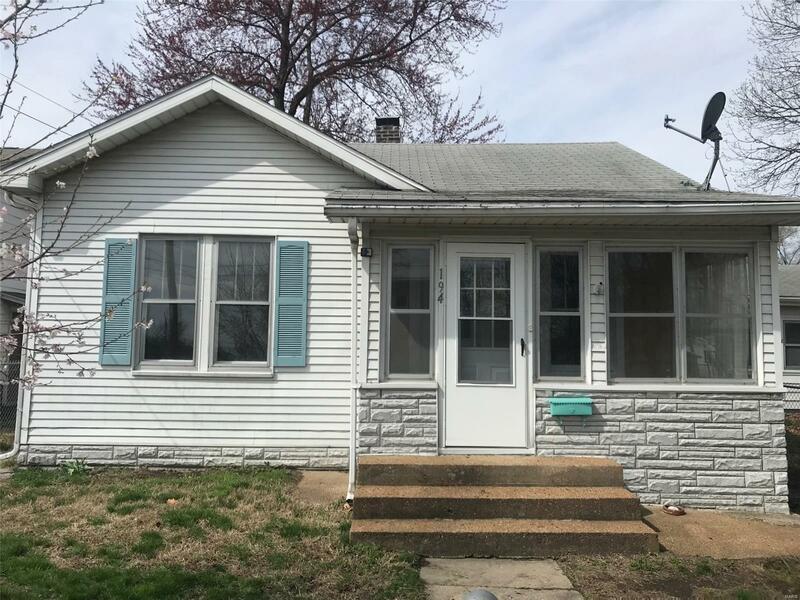 2 BEDROOM, 1 BATH HOME IS VERY NEAT AND CLEAN AND IS READY FOR NEW OWNERS. FRESH PAINT, REFINISHED HARDWOOD FLOORS, NEW KITCHEN WITH APPLIANCES THAT STAY, NEW BATH, UPDATED PLUMBING AND ELECTRIC. FEATURES ENCLOSED PORCH AND OFFICE AREA. HAS FENCED YARD, 1 CAR GARAGE AND 1 CAR CARPORT. GOOD PRICE ON THIS MOVE IN CONDITION HOME. Lot Dimensions: 37.5 X 140 IRR.